New Facility Now Open - Reserve Now! 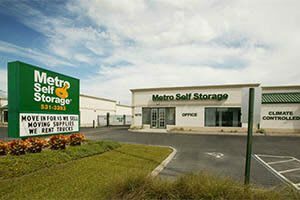 When you choose Metro Self Storage in Orlando, you will be joining a family of experienced storage professionals who make customer service our top priority. We offer a wide selection of climate-controlled storage units in sizes and prices to suit any budget. Our online storage rates allow you to create a customized storage solution. Additionally, you can choose to store your items long-term, short-term, or on a month-to-month basis. 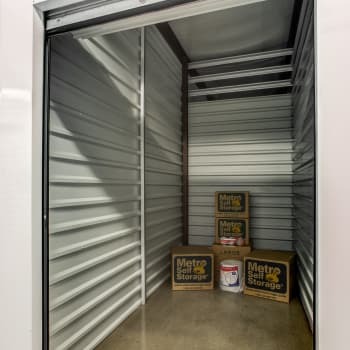 Our 5X5 small climate-controlled storage units are ideal for storing electronics, holiday decorations, seasonal clothing, and numerous boxes of archived records and documents. If you need a garage-style storage unit with a roll-up door, we have plenty of storage unit sizes including our popular 10X10 storage units. Our large commercial storage units are ideal for Southeast Orlando medical offices and businesses and feature 24-hour access. Do you already know what storage unit size you want? Great! You can reserve your storage unit online now and take advantage of our no-risk storage hold. Not sure what size storage unit you need? Call or stop by for a consultation with our friendly Property Manager. 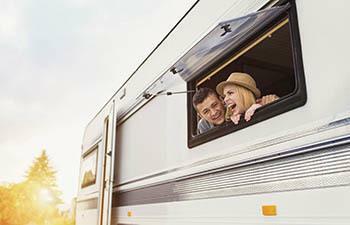 We also offer RV and boat storage in Orlando with 24-hour access. Does your medical office need extra space for records and file storage? Is a business expansion your goal? 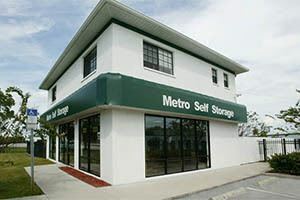 Metro Self Storage in Orlando, Florida, offers reliable and flexible business storage solutions. Our convenient Orlando storage facility is not only single story, but it also offers climate-controlled business storage units and is designed from the ground up for all types of business storage needs. 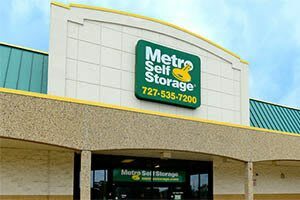 When you rent a commercial storage unit with Metro Self Storage, you will receive value, convenience, and security—it’s what we call the Metro Advantage. Reserve your unit online with our no-risk storage hold today. Do you love boating in Central Florida? Whether you enjoy fishing in the Everglades or exploring the Intracoastal Waterways at Port Canaveral, Southeast Orlando is the ideal place for boating and RVing. Whether you need secure and reliable winter boat storage or a place to park your RV in between road trips, we make storage easy at Metro Self Storage. Our customers enjoy reliable RV and boat storage and 24-hour access 365 days a year. Because we value your investment as much as you do, we take RV and boat storage security seriously. With more than four decades in the self storage industry, our customers enjoy a premium storage experience and great storage rental prices for RVs, boats, motorhomes, motorcycles, and vans. We invite you to drop by and preview our climate-controlled storage units and RV and boat parking in Orlando, Florida. Our storage office is open Sunday, so we have someone here to assist you seven days a week.